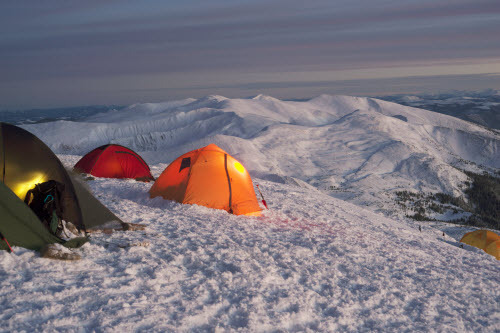 Recent Youth Protection Training (YPT) dates may now be uploaded from a file available from MyScouting. Boy Scouts can print their own fundraiser orders. Cub Scout packs and Girl Scout troops have new community service reports. Parents can view their scouts' balances from the My Account page. 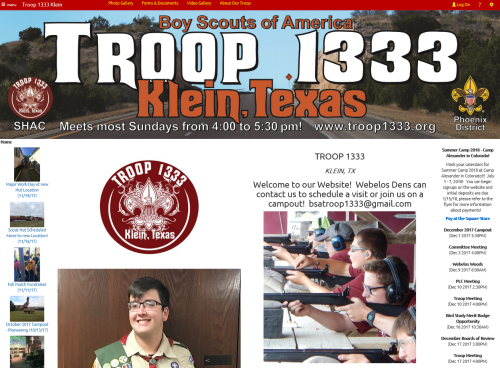 Troop 1333 of Klein, Texas! If this banner doesn't grab your attention, we don't know what will! The rest of the Home page makes good use of photos and graphics to tell the story of the troop. We also love the Eagle's Nest page with the consistently framed photos of their last twenty five Eagle scouts.